Daily Bible Verse 101: Let us strive to know the mercy of God. "The tax collector stood at a distance, beating his breast and saying: O God, be merciful to me, a sinner." (Luke 18: 13). On Saturday in the 3rd week of Lent 2019, the Gospel is the Parable of the Tax Collector and the Pharisees. In this reflection, we want to dwell on Mercy as a key attribute of God. In the first Reading from Hosea 6: 1 - 6, we hear this urgent cry: "Let us know, let us strive to know the Lord; as certain as the dawn is his coming. He will come to us like the rain, like spring rain that waters the earth.” (Hosea 6: 3). God reveals Himself as Mercy in the Bible. 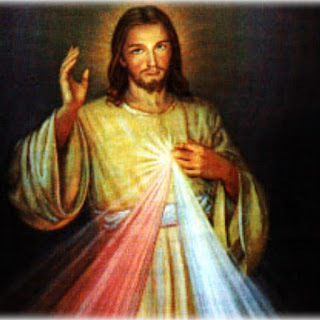 The word Mercy is used 273 times in the Bible (KJV version) and 13 times during the Mass. Hosea urges us to strive to know the Lord. If all that we know of God is that He is merciful, we are as good as any saint. Unfortunately, the observant Pharisee did not know this truth. Glory and praise to you, O Christ!" (Psalm 94: 8).